Carol Oswald has been a member of the Central Ohio Chapter of TTN since December of 2009. She worked for IBM for 24 years in various technical, sales and management capacities. She was a Principal in their consulting business, and managed one of their technical resource centers. She took a buy out package, and enjoyed the chance to pursue her interest in wellness and self care. She got her license in massage therapy, opened an office with a business partner, and provided classroom space for others to teach yoga and continuing education. She became actively involved in TTN and hosted several meetings in her classroom space. Early in 2011, Carol closed her massage office, wanting to simplify her work life, and hoping to create space for something new. Her timing was good. The founding member and Chapter Lead decided it was time to step down in May of that year, so Carol took on this new responsibility. She loves working with the wonderful women she has met through TTN. Carol is passionate about self care, massage, yoga, and naturopathy, and enjoys cycling on the many rail-trails around Ohio on her recumbent bike. Her favorite cycling destinations outside of Ohio are the Niagara Parkway and around the Washington DC area. Chrissa’s career has spanned more than 30 years as an organization and change practitioner in roles as consultant, leadership manager, educator and trainer. Her background includes consulting to Fortune 100 corporations, health care and educational institutions, and government agencies. Her expertise lies in organization development, coaching, organizational change, strategic planning, training curriculum design and delivery, team effectiveness, and communications issues. Currently an independent organizational change consultant, Chrissa previously worked at The Children’s Hospital of Philadelphia, Chase Manhattan Bank, and Thomas Jefferson University overseeing employee and management development efforts as well as organizational change consultation services. Long active in community and professional activities, Chrissa has served on the boards of directors of several associations, among them the Organization Development Network, The Philadelphia Human Resource Planning Society, and ActionAIDS. Chrissa is also on the Steering Committee of Philadelphia’s Transition Network, an organization that has played an invaluable role in helping her through her career transition as she defines the next phase of her life. She also loves to travel, spend time with her family, including 4 terrific grandchildren, and re-discover her enthusiasm for being a Phillies’ fan. Wanda joined the New York City chapter of TTN in early 2013, after retiring from a 31-year long career at the international law firm of Cleary Gottlieb. In her legal career, Wanda practiced international finance, specializing in the representation of foreign governments in restructuring their bank debt and in financing, refinancing and managing their capital markets debt. Wanda was elected to partnership in 1990 and served in various leadership positions at her firm, including a term on the firm’s executive committee, and was recognized for her expertise by various legal publications. She is most proud of her mentorship of younger attorneys at the firm, including dozens of foreign lawyers that she worked with over the years. After a career that absorbed virtually all of her time, Wanda joined TTN to help navigate her path into a fulfilling retirement. Her positive experience with TTN’s New York City chapter led her to join its Member Services Committee and, later, to become a Board Member. Wanda received her law degree from NYU Law School in 1981 and her undergraduate degree in international relations from The Johns Hopkins University in 1978. In addition to her TTN activities, Wanda has been able to pursue her passion for learning, taking a full load of classes each semester in literature, history and art history at various New York City institutions. Her interests also include travel, exercise, cooking and gardening, activities that were mostly put on hold during her legal career. Wanda and her husband live in the Chelsea neighborhood of Manhattan and have two adult children. Amy Kotkin enjoyed a wide-ranging, 39-year career in educational programming at the Smithsonian Institution before ‘rewiring’ in 2014. From 1994-2013 she served as director of Smithsonian Journeys, producing more than 250 expert-led tours to all seven continents annually. For decades prior to her directorship, Amy designed one-of-a kind themed tours and produced lectures, seminars and concerts under the Smithsonian banner in more than 100 cities throughout the United States and abroad. Amy joined the Board in January, 2017 and now serves on the Governance Committee. She is also on the leadership team of the DC Chapter, and heads up DC’s active Impact program. 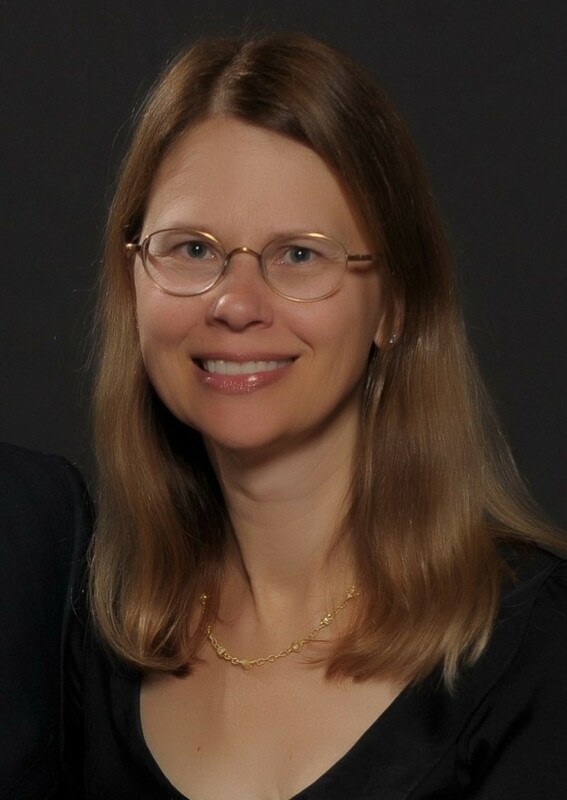 In addition to her work for TTN, Amy maintains and active involvement with the Smithsonian as Co-Chair of The Smithsonian Alumni and as a Videoconference Presenter at the Smithsonian American Art Museum, where she creates and presents distance learning programs that teach American history through art to students of all ages. Amy indulges her passion for theater and writing as a Drama Reviewer for DC Metro Theatre Arts and studies at the Alliance Française. She and her husband Larry Lawrence are avid explorers who spend as much time as possible traveling and studying in France. Amy holds a B.A. from Case Western Reserve University in American Studies, and an M.A. from the University of Pennsylvania in American Civilization. JoAnne is a member of TTN's National Board, and just completed her tenure as TTN's VP of Strategic Planning, as part of the Executive Committee. JoAnne recently relocated back to Atlanta, where she first began her work with TTN as one of the founders and Co-Chairs of TTN’s Atlanta Chapter. Her interest in ​TTN began several years ago, when she began to contemplate what life will look like at the point of retirement. TTN has been both a source of inspiration and support along her journey. JoAnne has spent over 30 years in the IT industry. She has enjoyed a successful career that encompasses a record of strategic leadership within highly successful sales and marketing organizations. She has organized and led global sales and marketing teams for both start-up and large-scale corporations and most recently was VP of Business Development for a global multinational IT services organization. Seizing the opportunity to transition to the nonprofit sector in 2015, JoAnne secured an Encore Fellowship, which led to her position with a nonprofit focused on workforce development for workers 55+. In addition to her work with TTN, JoAnne volunteers at women's shelters, where she counsels women in recovery on taking new steps in starting new careers and new chapters in their lives. She developed a program that supported job readiness and career preparation for one of the major human services organizations in Atlanta which is still in use today. With her relocation back to Atlanta, JoAnne is looking forward to continuing her work with TTN, with the support and friendship of the inspiring women of TTN. Dale’s professional career spans over 30 years in the field of education. After her initial start as a teacher on the elementary level, she transitioned into guidance and worked as an elementary school guidance counselor for over 20 years. In addition to providing support to students and parents in regular and special education, she developed and implemented Conflict Resolution and Social Skill Programs, which she maintained in ten different elementary schools. Always ready for a challenge and new growth, Dale went back for a second Masters degree to become an administrator and worked on the Regional level in decision-making areas of Pupil Personnel, where she issued support and training for the region’s guidance counselors and administrative staff. After retiring, Dale served as a consultant and expert on “best practices” for administrators’ and counselors’ school support programs. In 2007, consultancy funding suddenly dried up and Dale was faced with her own crisis of transition and reinvention. After reading every book she could find on the subject, she embarked on a path to personal fulfillment. While searching for a new phase of work, Dale discovered that her husband’s business was in need of organizational support. After training herself on new computer programs and familiarizing herself with business trends in an unfamiliar industry, Dale went into partnership with her husband and now enjoys her own success as an entrepreneur. Missing community, Dale joined TTN/Long Island and was thrilled to find women who share her challenges and desire for growth. She joined a discussion group that provided the emotional and solution- driven support needed during times of transition and is an active participant to this day. Before long, Dale was encouraged to join the Program Committee and went on to become its Chairperson, while simultaneously working diligently on Long Island’s Steering Committee. Dale holds a Bachelor of Arts in Education from the City College of NY, a Masters of Science in Guidance and School Counseling from Hunter College of NY and a Masters of Science in Administration and Supervision from Touro College of NY. For creative fulfillment, Dale is a patron of the arts and can be found taking in local and city art shows, museum exhibits and the theatre. She is also a passionate knitter and fondly recalls one of her first TTN endeavors of displaying her work at a NYC TTN Creativity Fair. Dale and her husband Martin have two adult children, Lindsay and Justin, who each reside in New York City. Marlene Gerber joined Long Island TTN in 2009 and succeeded Ellen Bartoldus as Chapter Chairperson in 2011. An RN by profession, she was a Vice President of Nursing Services before launching out into leadership roles other than in the patient care arena. Prior to her retirement, she was for fifteen years, the CEO/Executive Director of a 5000 strong membership association for RN’s. Marlene received her Nursing Diploma from the University of Pennsylvania and earned her Master of Public Administration from Pennsylvania State University. She is board certified by the American Nurses Association as a Nursing Administrator Advanced (BCNAA), and was President of the Greater New York, Nassau/Suffolk Organization of Nurse Executives as well as a charter founder of the New York State Organization of Nurse Executives. In addition, she served on many committees at state and national levels, including bylaws, nursing practice and political action and is the only RN member of the governing body of a Brooklyn-based home care agency. Linda joine d TTN in April, 2010 and is currently the Co-Chair of The Member Services Committee as well as an active member of the Peer Group Committee, the Marketing and Communications Committee and the NYC Steering Committee. Previously, Linda was employed by The Bank of New York’s Human Resources Division for 18 years, most recently as the Managing Director of Corporate Learning and Development. In addition to her management responsibilities, she assessed organizational learning needs and coordinated the execution of enterprise-wide learning opportunities for an employee base of 18,000 and led the Banks’s Tuition Reimbursement Program. During this period she was a member of the Bank’s Diversity Council, the Women’s Initiative Network, and co-chair of the Anti-Money Laundering Curriculum Committee. Linda was also a board member of the former American Institute of Banking. Prior to her employment with The Bank of NY, Linda held progressively responsible management positions at The Irving Trust Company, was an assistant adjunct professor at NYU’s School of Continuing and Professional Education and a special education teacher in the NYC public school system. Education from Columbia University. She attended the Hunter College Graduate School of Social Work and has taken courses in group dynamics from the Washington Square Institute of Psychoanalytic Study. Ellen Murphy joined The Transition Network in 2006 and has been active in the New York Chapter in many roles, including serving as the first chair of the Steering Committee for the New York City Chapter. She also served on the Member Services, Peer Group and Special Interest Group Committees. After a number of career moves, Ellen found she had friends in lots of places but needed to find a network where she had decided to settle after retiring – NYC. Ellen is a member of peer and special interest groups and appreciates the value that TTN has provided to her life. As a long time TTN member, Ellen has come to know members both in her city and across the country and enjoyed attending the national meetings that TTN held in past years. Ellen retired in 2005 after a 32 year career with the Internal Revenue Service where she worked in Washington DC, Dallas and finally New York City. In Washington, Ellen was the National Director of Public Affairs. In Dallas and New York, she was responsible for all IRS operations in North Texas and then Brooklyn, Queens, Nassau and Suffolk Counties. After she retired (and sorted all the photos into albums! ), Ellen began working with a non-profit which provides services to adults with developmental disabilities where she is the Corporate Compliance Officer. Ellen is a native of Birmingham, Alabama but is a New Yorker by choice. She lives in Brooklyn Heights and loves all the theater, opera, concerts, museums, restaurants and general craziness that the Big Apple offers. She also enjoys traveling as much as she can and cooking is a passion. Sara found TTN’s NYC Chapter to be invaluable in her transition when she moved from Scarsdale to New York City in 2016. She is delighted to have the opportunity to serve on the Board of this unique organization. She is also a member of the NYC Member Services Committee and the Explore NYC Committee. In her career as a tax lawyer, one of Sara’s specialties was the federal rules relating to nonprofits. She received her undergraduate degree from Yale University and her law degree from the University of Michigan (where she met her husband). Sara has been an active volunteer for many years since she stopped practicing law after her two children were born. She currently serves on the board of directors of the National Center for Law and Economic Justice. 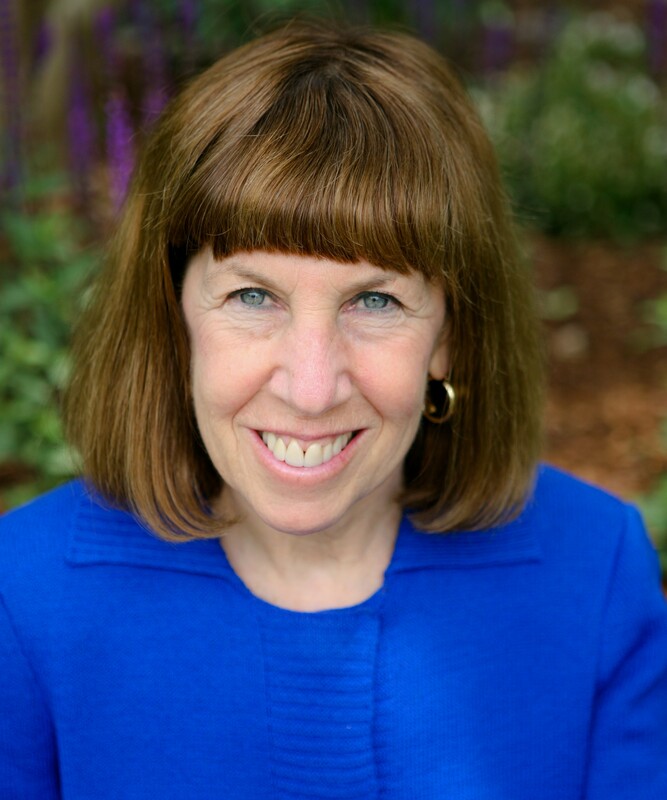 She has previously served on the boards of the Scarsdale Public Library, the Junior League of Central Westchester, the Scarsdale League of Women Voters, Girls Inc of Westchester County, and Scarsdale Edgemont Family Counseling Service. Sara’s interests include literature, theater and traveling with her husband. She has an extensive cookbook collection, but now prefers trying all the different restaurants in NYC!